Over 60 million Americans suffer from insomnia and the number is continuously growing. We’re overworked and overstressed. We consume too much caffeine and unhealthy foods. We sit around looking at screens all the time. We need sleep, but we can’t sleep! 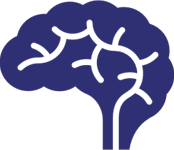 Prescription sleep medication is way over-prescribed and it’s often addictive and harmful. We need healthy natural sleep! Our life depends on it. maintained properly in dry climate controlled environments. As just one example, our Passion Flower is standardized at 20% flavones (the main active ingredient), whereas almost all other Passion Flower products on the market are 4% or less. See below the information on each ingredient and how we procure them. The deeper you look into the details, the more you will realize SleepX is the best sleep supplement on the market. function, but the essence of how it works is in the synergy. Some of the ingredients work by entering the blood quickly and give you a sleepy feeling (drowsiness) by raising your natural “sleep hormones”. Some make your physical muscles relax. Some put you in a mentally happy and peaceful place by increasing your serotonin and increasing the long and slow alpha brain waves (the brain waves which help you sleep). Some “turn off a racing mind” and reduce worry and anxiety by increasing either the amount of GABA itself, or the effectiveness of it by working on natural receptor sites. The combination is very effective and impressive. 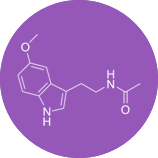 Melatonin is the “sleep hormone” which is produced naturally in the body. The presence of melatonin let’s your body’s internal clock “know” is time to sleep. Our premium grade melatonin works wonderfully in our SleepX combination blend because it helps you fall asleep quickly and easily, while the other herbs help you “stay asleep” through various mechanisms. 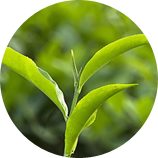 L Theanine is a powerful and unique amino acid found in green tea. It’s what makes tea feel more “calming” than coffee. 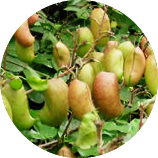 It works by increasing the effectiveness of GABA, our body’s main inhibitory neurotransmitter. It easily crosses the blood-brain barrier and is effective almost immediately after ingestion. It’s virtually impossible to sleep soundly, or at all, if you have a racing mind and/or tight muscles. 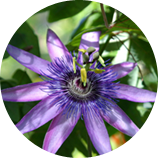 Passion flower is well studied as a natural muscle relaxant, a sleep aid, and an anti-anxiety herb. 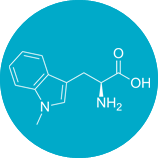 Like L Theanine, it works on increasing the effectiveness of GABA, but in a slightly different and complimentary way. Both passion flower and L Theanine work well synergistically to help you reach pleasant and anxiety free states of mind. Magnesium taken alone has been scientifically proven to help as a sleep aid by aiding the GABA system and relaxing all the muscles in the body. It’s even more effective when taken in combination with the other ingredients in SleepX. Our non-buffered magnesium bisglycinate has the highest absorption of any magnesium on the market. 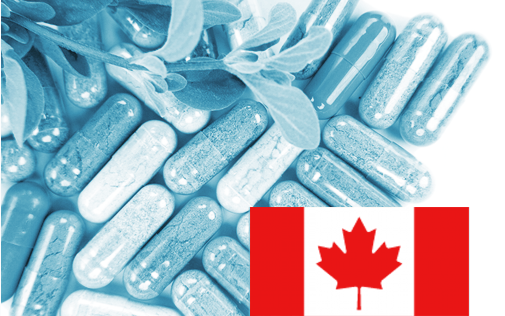 Learn more about the science behind magnesium bisglycinate. Do not drive or use machinery for 5 hours after taking this product. Take once a day, at or before bedtime. Take once a day at bedtime after darkness has fallen, while travelling and at the destination until adaptation to the new daily pattern.